Jet2.com Delayed Flight Compensation - How We Help Win Your Case. 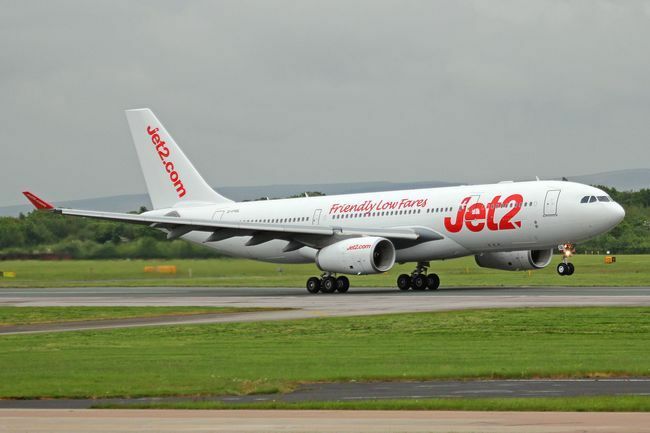 In 2003, Jet2 Limited debuted with their maiden flight between Leeds Bradford International Airport and Amsterdam. What started as twice daily service with just one rotating aircraft quickly grew. Hubs were added in Manchester in 2004 and then Newcastle a year later. In 2005, Jet2 added two Boeing 757-200s to their roster. Their growth continued into the next year when the company acquired all the fleet, contract charter and freight flights of Channel Express. By 2013, Jet2 had grown substantially. Today they regularly fly over 4.8 million passengers a year. Passengers typically choose Jet2 for the price, not the services. Food and beverages are for sale at reasonable prices. Social media generally has nothing but consistent praise for Jet2’s flight staff, who are often described as friendly and competent. There are a lot of low-cost carriers to choose from. Jet2 stands out because they’re the only budget airline which allows bookings through travel agents. All other airlines who offer flights in this price range only allow online and phone booking (Jet2 lets you book in those ways, too). This leisure airline offers a variety of seasonal deals. During the summer, you can find flights to Ibiza, Malaga and Faro for 40GBP and under. They have routes to 54 different destinations. No matter what your holiday plans are, you can probably find a cheap flight whether you’re looking to visit a city, ski slope or beach. As with any low-cost airline, flights don’t always have many bells and whistles. Lack of legroom is a common complaint on social media. Additionally, there have been some reports in the past about hidden baggage fees and booking costs. Jet2 flies to over 54 destinations including popular tourist destinations such as Amsterdam, Dusseldorf and Paris. The majority of these flights are on-time, with cancelled flights being a rare event. Jet2.com delays do occur, however. If your flight (and your holiday) have been impacted by an airline delay. Click the button below to get specialist help – at No risk, as our service is No-Win, No-Fee!